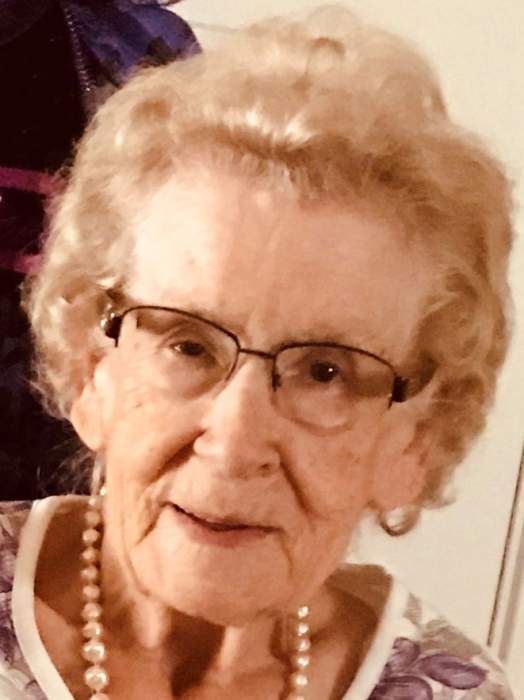 Lucille Gagnon, 90, of Biddeford died Monday, December 3, 2018 at her home surrounded by love and family. Lucille was born in Sully de Temiscouata, P.Q. Canada on April 12, 1928 to Lucien and Yvonne (Morin) Raymond. On July 12, 1952 she married Ronald J. Gagnon at St. David’s Church in Canada near her home. In May of 1953, they decided to move to Southern Maine where they would raise their 7 children. Lucille was a life-long member of St. Joseph’s Church. A matriarch of her family, she enjoyed being surrounded by her friends and family at any given time. You could always find her cooking (or baking) in large quantities in order to provide for anyone who chose to pay a visit. She enjoyed frequent visits to Canada for visiting family and shopping, and was always up for a car ride to anywhere. As someone who loved music and prayer, she chose to continue that love up until the very end. Lucille was preceded in death by Ronald, her husband of 40 years on September 23, 1992, also by a sister, Yvonne Raymond Fournier in 2011 and 2 brothers: Jean Guy Raymond in 2013 and Lionel Raymond in 2015. She was Memere to 21 grandchildren, 21 great grandchildren, and many nieces and nephews. The family wishes to express appreciation and gratitude to all family and friends, as well as the hospice care workers for their exceptional, compassionate care and respect while caring for our mom in her final days. Visiting Hours will be 4:00 to 8:00 p.m. on Sunday, December 9, 2018 at Hope Memorial Chapel, 480 Elm Street, Biddeford, ME 04005. A Mass of Christian Burial will be celebrated at 10:00 a.m. on Monday, December 10th. Burial will be in St. Joseph Cemetery. To share condolences online, please visit www.HopeMemorial.com.